Read the latest updates on STEAM activity at STA! At St. Teresa’s Academy, we believe intellectual curiosity and the drive for personal growth are meant to be shared in and outside of the classroom. Make sure to learn more about the STEM/STEAM Certificate Candidate in the new Spotlight column below. Senior Annabelle Colombo shares her point of view on the advantages of an emphasis on STEAM. The Entrepreneurship Organization - DECA is a co-curricular club connecting classroom instruction to competitions that encourage students to build public speaking, critical thinking, and leadership skills. 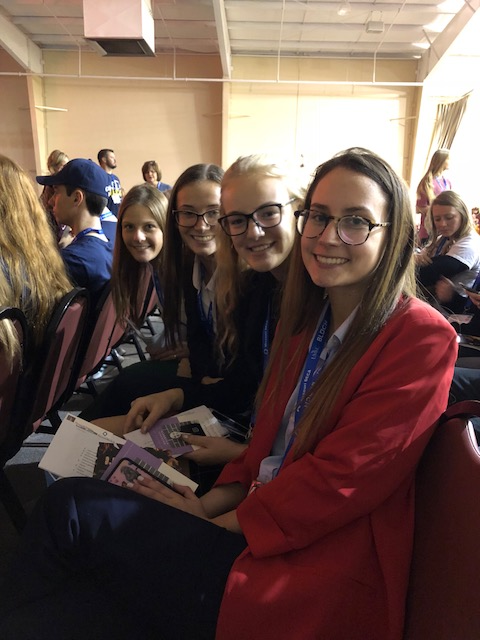 DECA allows students to use classroom content to create authentic experiences or research and a chance to explore their entrepreneurial spirit to help the dear neighbor and explore solutions to problems in today's world. "I'm so glad DECA is here because it gives such good real world exposure and experience through competitive events and role playing. It teaches you to be sharp and ready for anything when put on the spot." 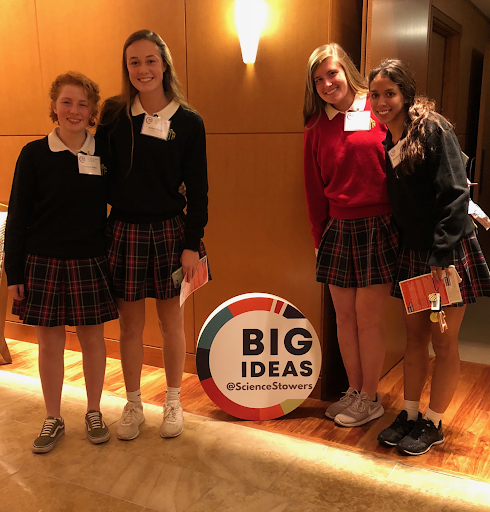 As part of the Big Ideas lecture series at Stowers Institute for Medical Research, STA students had the opportunity to meet Dr. Ahna Skop, a genetics professor and artist at the University of Wisconsin - Madison. 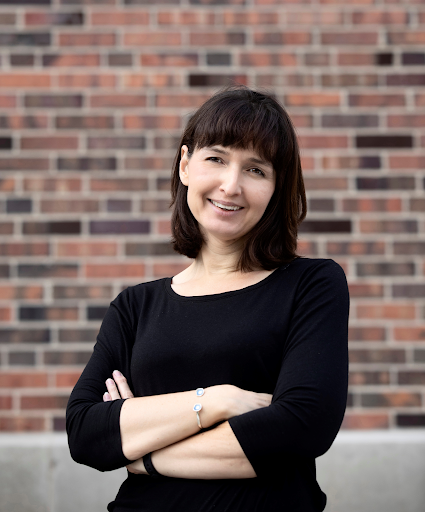 Through her research and art, Dr. Skop shows how creativity and artistic representation are essential pieces to the study of science and life. Taking advantage of some standardized testing time for upperclassmen, the freshman class was challenged with some problem-solving of their own. Working in teams, their task was to research current negative trends in public health, design their solution, and, within an hour’s time, present that solution to a panel of judges. This year all freshman Biology students will participate in the national STEM eCybermission Engineering Design Competition. Creativity, critical thinking, collaboration, and communication at its best! 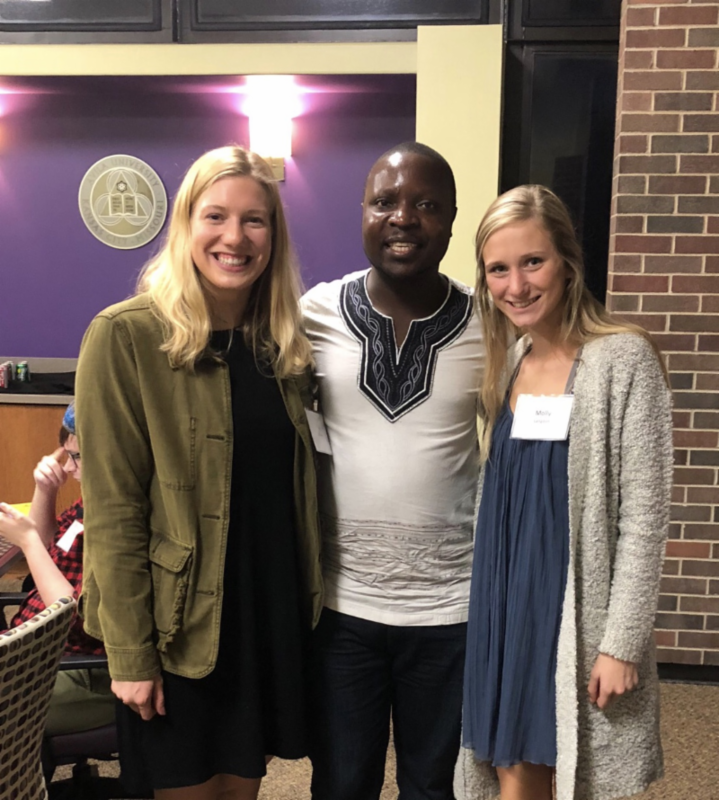 In collaboration with Avila University, STA students had the opportunity to spend time with William Kamkwamba, author of The Boy Who Harnessed The Wind . As a young boy, William built a wind turbine from junkyard scraps to help provide power to his village. William’s book will be part of the literature component of next semester’s Research & Design: Windmill Project, where students will research, design, prototype, and build a wind-harnessing device to promote and support today’s needs for renewable and sustainable energy. 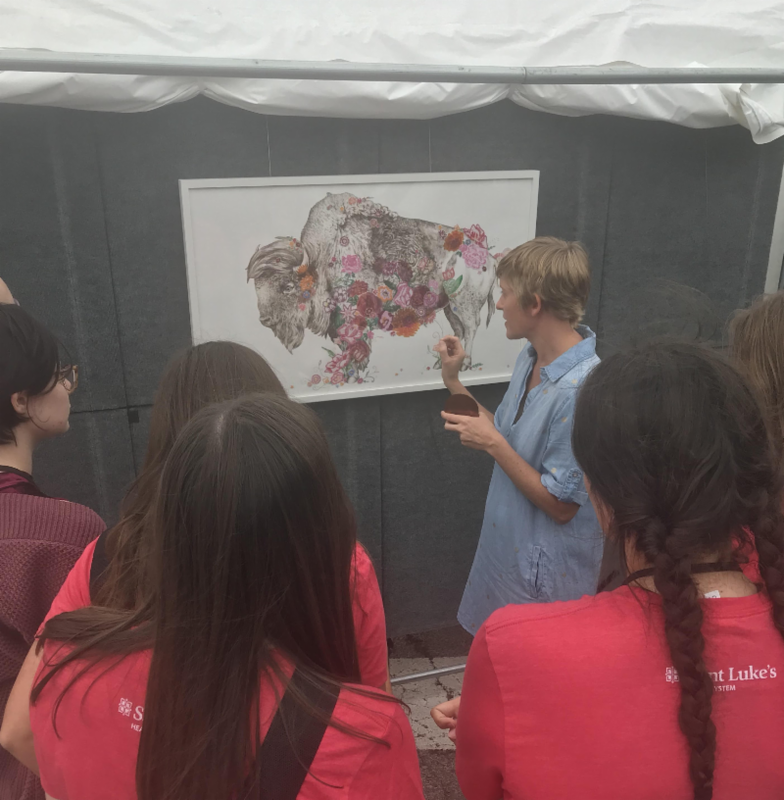 This year, the Art & Design portfolio students were given the opportunity to work with award-winning artists setting up booths, unpacking and hanging art, and, most importantly, gaining invaluable insight to the skill, drive, and dedication it takes to work as an artist. 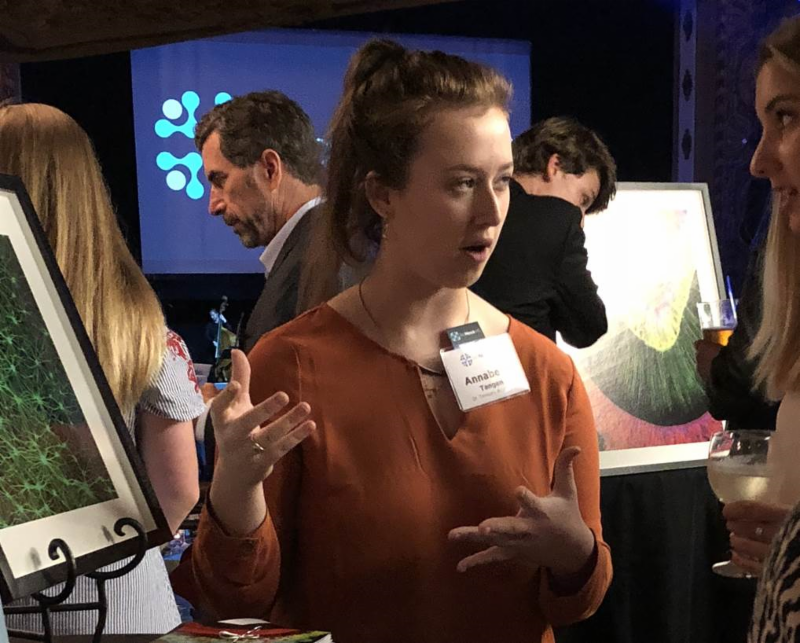 For the third year, STA students had the opportunity to learn from regional scientists and promote efforts to describe research through the visual arts while helping raise funds for STEAM education. In addition to serving as art ambassadors, this year’s students were able to hear Dr. David Nash from Thomas Jefferson University speak on the current status of Public Health Policy. 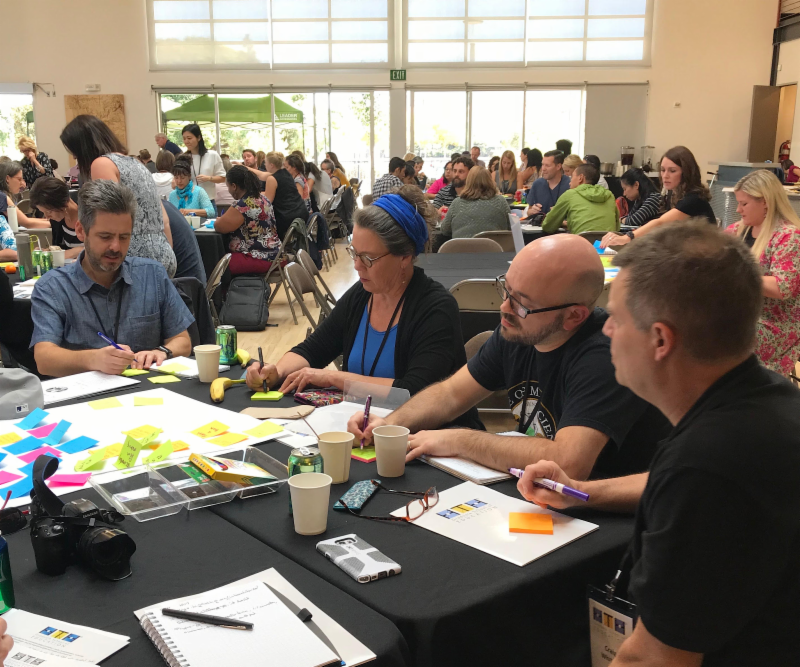 As part of a KC cohort of teachers, including participants from Cristo Rey, Lee Tolbert Academy, and Rockhurst High School, STA faculty members learn how to create project design experiences for deeper learning, public presentation, and authentic connection to today’s world. High Tech High is the charter system in San Diego, CA, featured in the documentary Most Likely to Succeed . Through their graduate institutions, professional educators from across the globe are brought together to brainstorm and examine educational practices. Implementation can be seen at STA through the development of our Research & Design Elective Series and Interim Week, which launches in January 2019. Congratulations to our very own Jo Weller for being elected to the board of the National Consortium of Secondary STEM Schools! Established in 1988, the Consortium now consists of over 125 member schools and over 50 affiliate organizations, including universities, foundations, and corporations, with the shared goal of transforming mathematics, science, engineering, and technology education. Through her role, Jo will be working to provide STEM professional development, partnership opportunities, public awareness, and political advancement with educators from across the country. STA joined Missouri Academy of Science, Math, and Computing as the second school in Missouri to be accepted to NCSSS and is one of the first all-girls schools to become an institutional member. ﻿What got you interested in STEAM (in general or a specific area)? At a young age I liked working with mobile devices which really started my interest in technology. 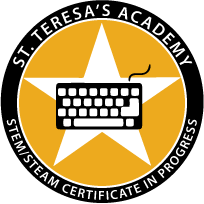 After finding out St. Teresa's had a computer programming class, I figured why not try it since I enjoy working on technology. I ended up loving the computer programming class which led me to what I am currently enrolled in, AP Computer Science. What are your future plans for college? Any career ideas? My future college plans are going to the University of Kansas to study Computer Science at their engineering school. I also plan to pursue a Master's degree in Business Administration. 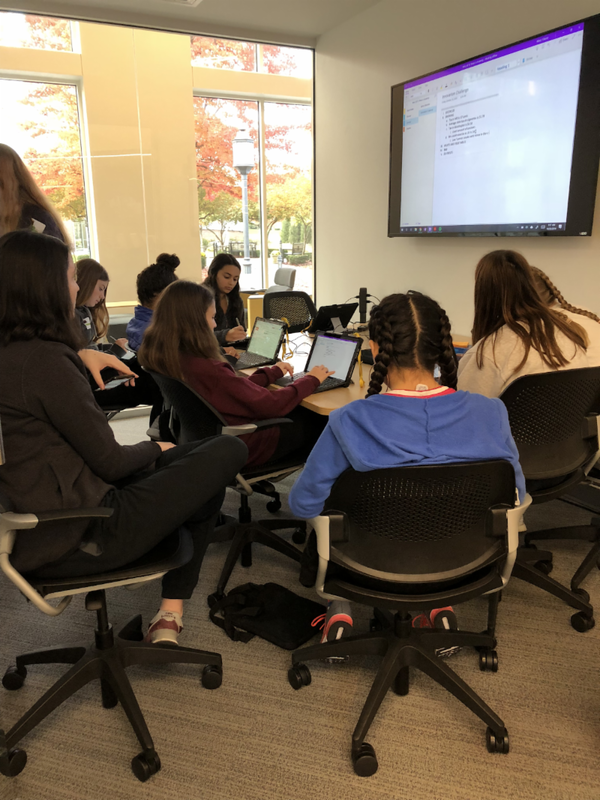 What advice would you give to young girls in STEAM? A piece of advice that I would give to young girls in STEAM would be do not give up if things become challenging. Furthering your education in the STEAM field can be difficult and there may be times where you'd rather give up, but stick to it. STEAM subjects, especially science and technology, have become such a big part of society and will only continue to grow. This will lead to a high demand for STEAM-related jobs. Is your daughter a STEM/STEAM certificate candidate? The STEM/STEAM Certificate Program acknowledges students for their individual achievements and involvement in STEAM-related activities. This is a multi-year effort that focuses on academic studies and community learning. The program is designed to provide preparation and opportunities related to STEAM fields in and beyond the typical classroom day. Students completing certification receive special recognition in the commencement program, honor cord, as well as documentation on their transcript. The certification process aids students in creating an electronic portfolio that may be utilized in their college and career planning. Students may apply for candidacy at the end of their sophomore year or beginning of their junior year, selecting STEM or STEAM certification depending on their areas of study. For more information on the STEM and STEAM certificates, click HERE .